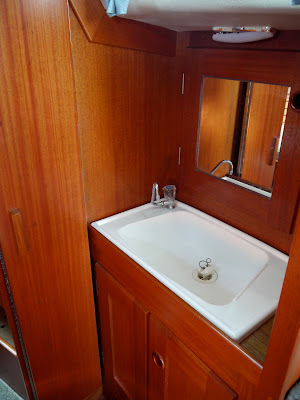 The boat is now cleaned inside out so it was good time to take some photos while it is still clean and empty. Here is some information about interiors and engine of the HR29 nr. 483. More infomation about Dolphin Dance can be found here. The layout is traditional - two cabins separated by a toilet and a hanging locker. There are folding doors so the toilet compartment can be closed from both cabins. 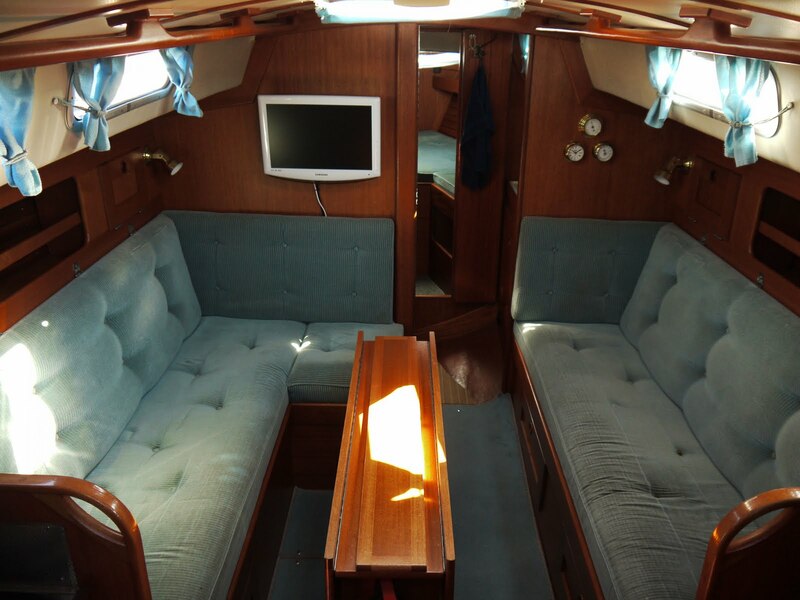 Our boat has four berths: double in forepeak and two single berths in the saloon. 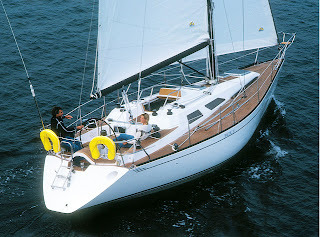 Some versions have also a quarter berth on a starboard side, in which case the navigation table is removable. 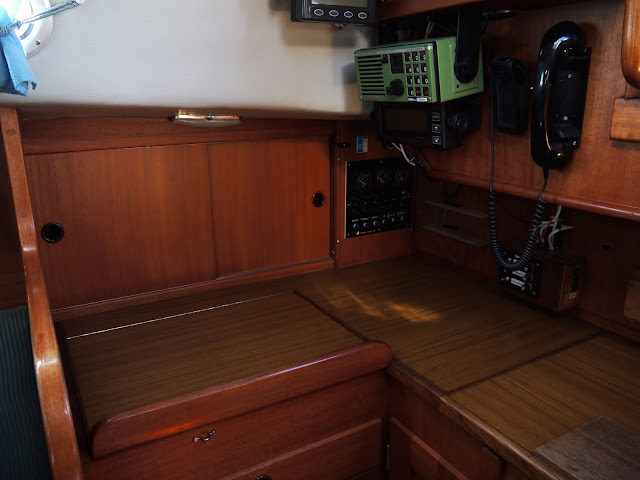 Our boat has a large, fixed navigation station with chart locker and there is also an additional cockpit locker. I prefer this layout since this gives more locker space and good working place for navigator. Settees in the saloon are wide and very comfortable when the backrest is raised. They make also excellent seaberths right in the center of the boat. 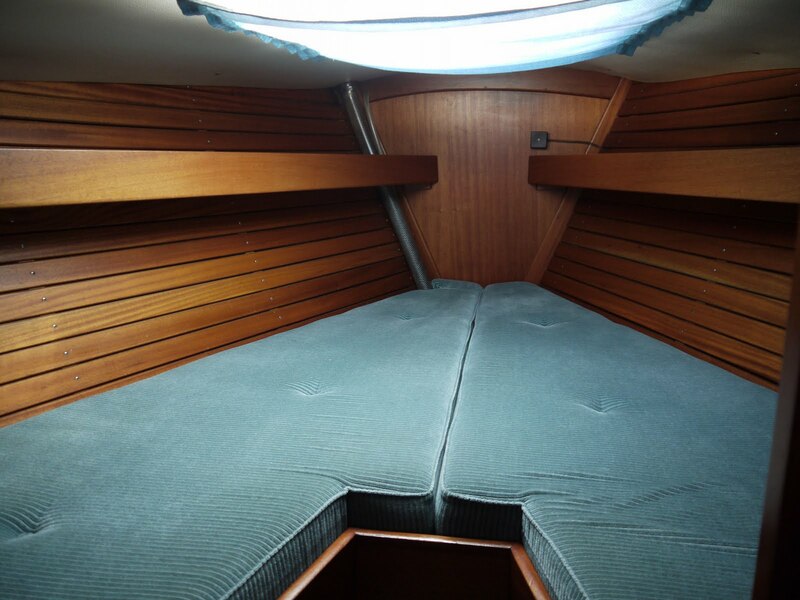 The double V-bed in the forepeak is also comfortable and full lenght (2m). However the bed is placed quite high due to the water tank just under the bed. Thus one must do some stretching to get into to the bed and also the headroom is quite low. 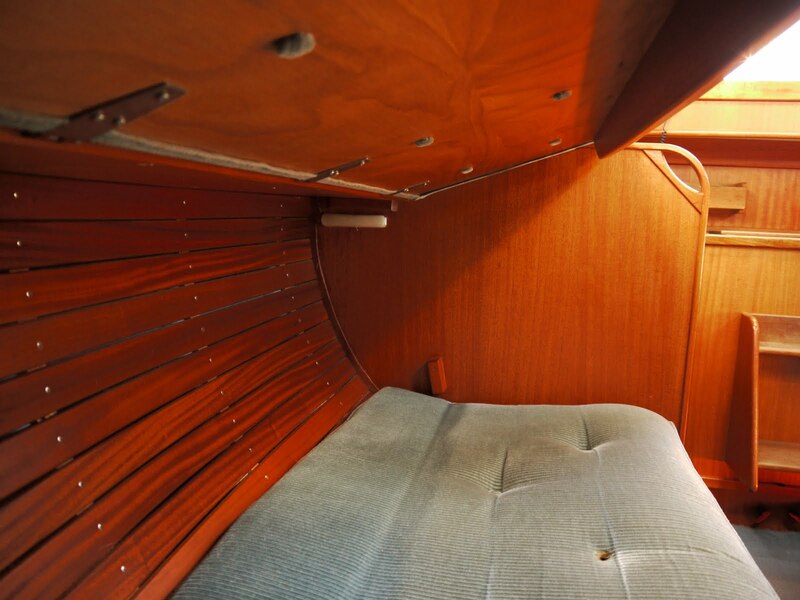 The headroom in the main saloon is typical 1,80m and just enough for us. 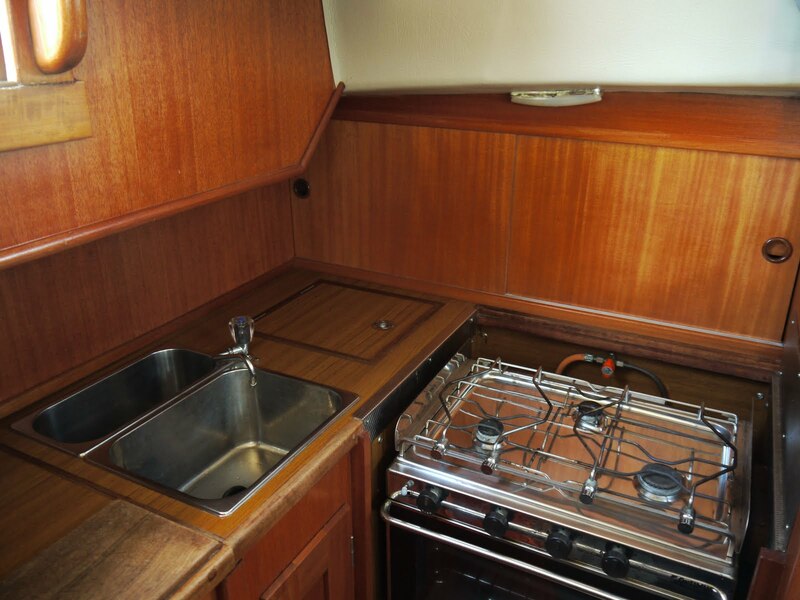 The L-shaped galley is equipped with stove/oven and 50 litres fridge. There is additional galley space behind the step (on top of the engine). However problem is that the space in the galley is flat so it may be difficult to find solid place to rest plates, mugs etc. 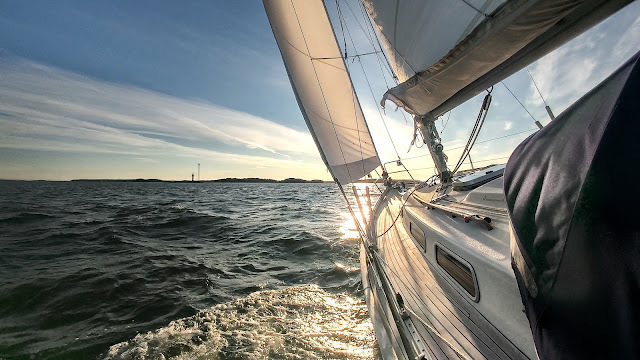 while cooking at sea. 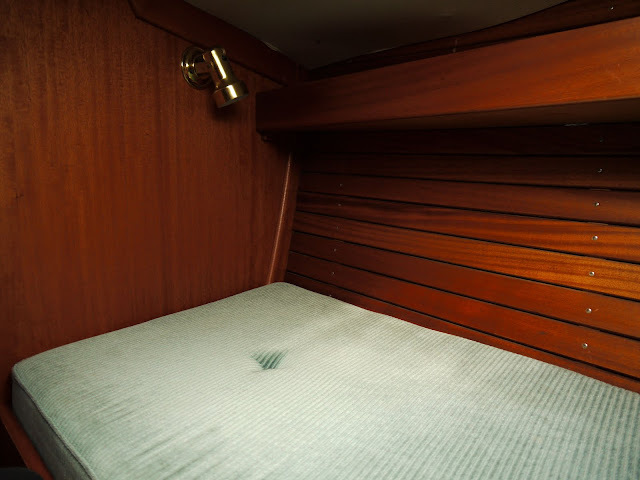 There is good locker space in galley as there is throughout the boat. Layout in general is very seagoing and there are good handrails in the saloon. 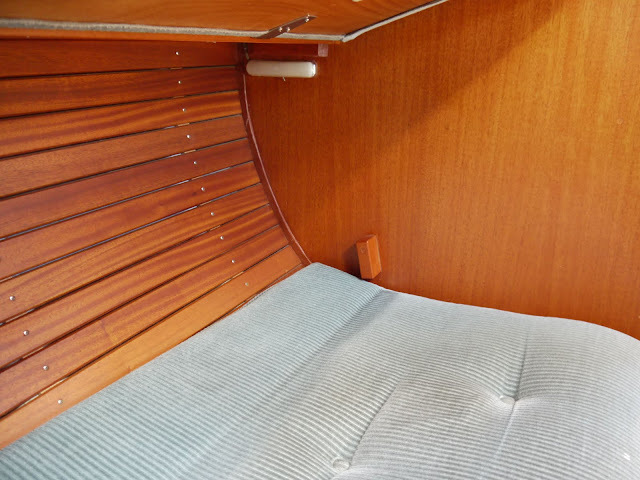 Woodwork is typical Hallberg-Rassy: beautiful solid mahogany and first class workmanship. 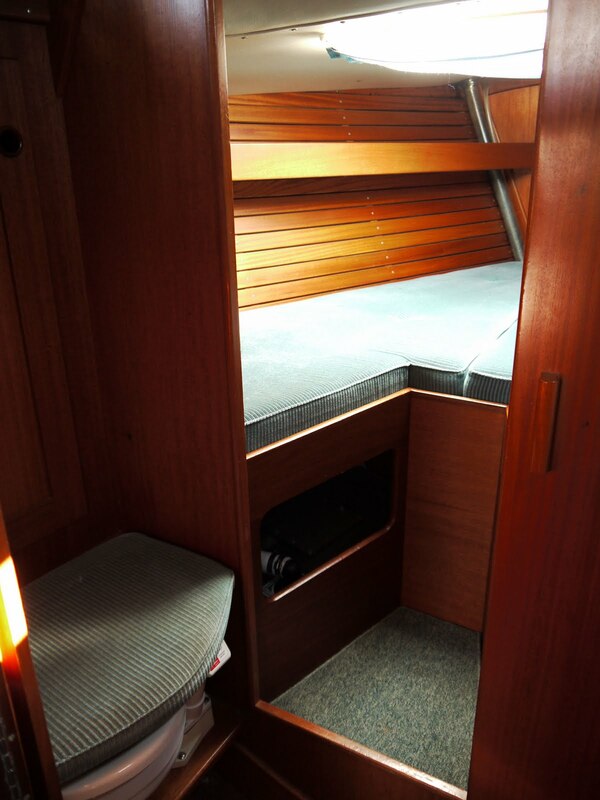 Very comfortable saloon berth with night lamp behind the backrest. Dolphin Dance is powered by 18hp Volvo MD2020C diesel engine. The original Volvo 2002 engine was replaced about ten years ago by one of her previous owner. 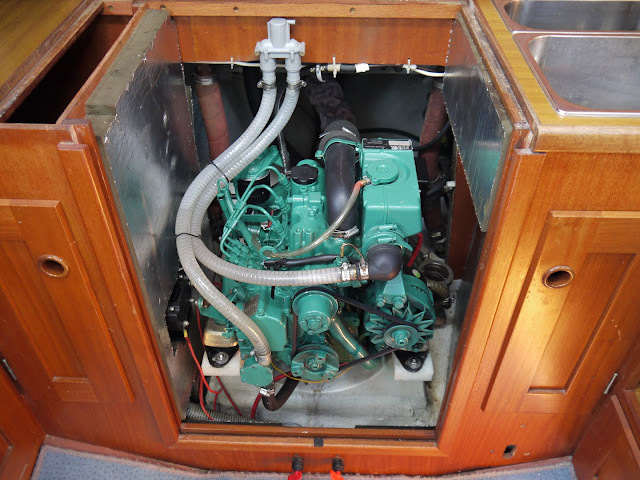 This 18hp engine gives about 5,5 kn cruising speed. 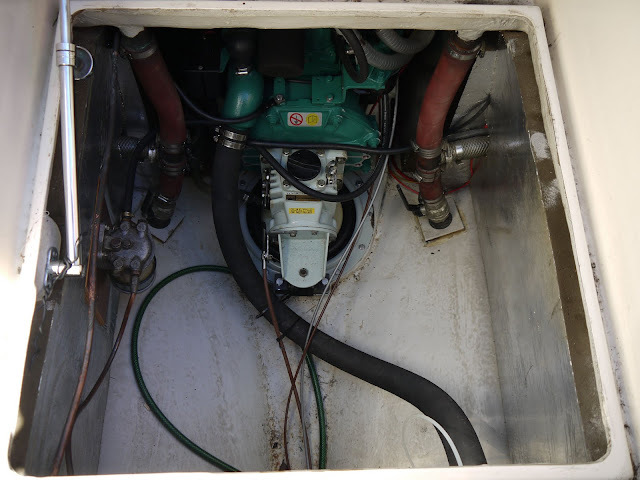 One of the excellent features of the HR29 is really large engine room and there is good access to important maintenance parts of the engine: the front can be accessed from saloon and the back of the engine and the S-drive from cockpit. Terve Antti, vene haettiin Tanskasta vuosi sitten keväällä.